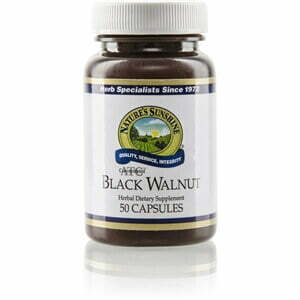 Nature’s Sunshine Black Walnut ATC is rich in vitamin C and the trace minerals chromium and iodine, which are derived from the unripe hulls of black walnuts. Black walnuts have also been shown to be rich in tannins which, like wines or grapes with high tannins, may have toning and smoothing advantages for the skin. 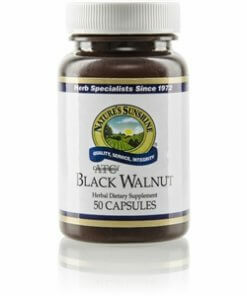 Nature’s Sunshine Black Walnut ATC may also support the intestinal system. Each ATC concentrated capsule contains 480 mg black walnut concentrate.